With the new year upon us, Jamie Russo outlines what to expect from the evolving coworking industry. Factory Six03 in Dallas. Image courtesy of the author. You’ve probably heard of coworking by now. It’s not just a fad — it’s here to stay. Why? Because coworking brings with it a new chapter of opportunities and innovation. As the industry continues to grow, here are my top ten predictions for coworking in 2017. A rendering of the 25N Arlington Heights location, courtesy of 25N Coworking. WeWork reports that about 10 percent of Fortune 500 companies already rent space in its locations, and firms with 15 or more people comprise its fastest growing customer base. Sixteen WeWork members have more than 100 desks, according to the company. WeWork has hired a head of enterprise sales to focus on this segment. While the conversation about recruiting and retaining the millennial workforce continues to be a hot one, the shift to flexible work arrangements and stipends to work in coworking spaces is still trickling. I was surprised at the lack of coworking conversation at the Workplace Evolutionaries meeting at the Nike campus in June, and then at the WORKTECH 16 West Coast event in October. A potential challenge is the inability for real estate executives to evaluate the quality of coworking spaces, causing them to focus on the lone behemoth, WeWork, and the more corporate version, Regus. Both have global networks and a single point of billing. OK, the “combo space” is not for every workspace but it is a crowd pleaser. I think we’ll start to see a lot more of this, especially in smaller markets where shared workspace awareness is still growing and the P&L could use some revenue diversification. The most recent example of the combo space that I’ve toured is COVO in San Francisco. On a busy but still slightly gritty street, a block from the Westfield mall, the lobby features a public coffee bar with coffee, tea, espresso drinks, and pastry items. Non-members can grab a coffee and stay and work for $3/hour in a beautifully designed, vibrant, “I feel like I’m in someone’s beautiful home but I can sit down and get comfy and focus” café area. My friend, Rebecca Pan, COVO’s CEO, was also the COO at NextSpace, which has nine coworking locations in the Bay Area. 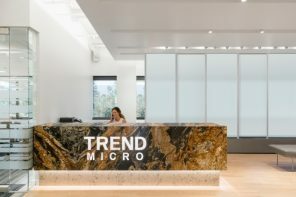 My familiarity with the founding team aside, they’ve done an outstanding job of integrating the principles that have become at least theoretical standards for creative, collaborative workspaces. They partnered with West Elm on the project so much of the furniture is sourced from the West Elm Workspace line. They’ve hit a home run on the consumer affinity for “bringing home to work.” They’ve combined the stylish yet comfortable design of an apartment you’d see on Apartment Therapy with the tools and thoughtful integrations that you need to get good work done (power everywhere! phone booths galore!). At top, COVO’s bar. Below, COVO’s open coworking area. Images courtesy of the author. The first floor is public café space and meeting rooms. The lower floor is private offices and dedicated member areas (and free coffee for members). In the early evening, the bar opens for business and you can meet a business colleague or a friend or significant other for a drink. The café area flexes into a legitimate event space for up to 400 people after hours — a feature that brings in an event rental fee and a food and beverage minimum. From a user experience perspective, the space captures the blurred lines of living and working. From a business model perspective, the coffee shop brings activity and awareness, and the event space also brings activity and prospective members. The latter also carries the added benefit of a meaningful revenue stream — so much so that COVO just hired a full time events manager. For many smaller shared workspaces, hosting events can be an exhausting, low-margin effort to drive member and external community engagement. The meeting rooms were at capacity on the day I was there, adding to the coffee bar’s vibe and revenue. The traffic on the café floor was just the right amount to add energy to the space and sustained that perfect noise level that is neither too distracting nor library-approved quiet. The entire space is carpeted. In some spaces, carpet would have negative effect, but here, with the high ceilings, coffee bean grinders, and busy foot traffic, it works extremely well and adds to the coziness of the space. I believe businesses will continue to find that the combo approach will help shared workspaces in smaller markets find a sustainable business model and will be very appealing to today’s design/experience/amenity-sensitive shared workspace consumer. In short: we’re going to see more of these in 2017. Two of the examples mentioned above — Arlington Downs and Granite Park — speak to another 2017 trend on the move: suburban coworking. People migrate to the suburbs for the school systems, not because they want to give up their urban amenities and experiences. 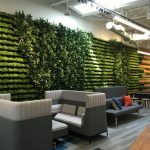 Today’s suburban building owners want to provide “experience” and “vibe” in their buildings, and they are adding coworking as an amenity or as a contracted operation to achieve this goal. 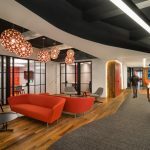 Serviced offices have long since found homes in suburban marketplaces, but the new floor plans that integrate more open space and amenities associated with urban locations (such as café areas) are moving into the designs. While the media loves to poke holes in the WeWork model, as in so many other industries, there are advantages to scale and 2017 will see new players in it to challenge WeWork’s singularity as the market’s “Starbucks.” I see a chicken/egg challenge with enterprise coworking and the current market. Larger players can enter the market with access to enterprise customers that fill spaces faster than individuals, freelancers, and small startup teams. On the flip side, large companies are looking for a network of qualified spaces with a single billing contact to simplify third space management. One factor that we see stalling growth a bit is that investors are looking for early operators that have proven success across diverse markets. These are few and far between, so investors must take on more risk and, most likely, take longer evaluating investment candidates. Along with “chain-like” brands with broad geographic coverage, I think we will also see the growth of networks such as Deskpass and LEXC, aiming to provide a curated list of spaces that are bookable through a single portal. According to the annual Global Workspace Association Financial Study, serviced offices have long operated on footprints larger than 15,000 square feet. In 2015, 62 percent of respondents reported operating locations with greater than 15,000 square feet. According to the Financial Study results, larger revenue workspaces equal larger profits. Workspaces with revenue over $1 million in revenue showed a 12.7 percent profit, while workspaces with revenue under $500,000 averaged 9.8 percent profit. Notable examples include Enterprise 5280 in Denver, which opened with 42,000 square feet this past June. There is also Hub Australia, which opened with 66,000 square feet this fall. Grind has taken it’s typical 10-13,000 square foot template to 18,000 at Broadway/30th. Cross Campus opened 33,000 square feet on Wilshire Boulevard in LA in April 2016. According to the latest DeskMag survey, the average coworking space size has doubled in the last two years — from 4800 square feet to 9600. I think that trend will continue at a similar rate. Generally, larger space equals more sustainable business model and superior user experience. The largest overhead expenses for coworking spaces are rent (variable), high speed Internet (fixed) and staff (fixed to a point). As spaces grow, they can accommodate more meeting rooms (revenue stream), events, corporate off-sites (training), revenue-generating amenities such as café, bars, fitness facilities, locker rooms, bike storage, etc. (see prediction number three). The user experience improves as spaces get larger because they allow for designs that support activity-based working. A smaller space will be dominated by private offices, coworking seats, and dedicated desks. A larger space will be anchored by those spaces but also include a larger variety of meeting rooms, phone booths, lounge areas, focus areas, collaboration areas, and community gathering areas. Leveraging an existing business not designed to be workspace brings a walk-in cooler’s worth of trade-offs, but the ability to leverage the space of another business during a non-peak time as workspace creates enough upside that I think we’ll see this approach grow in 2017. The coworking explosion in China will continue in 2017. Naked Hub just opened its sixth location in China. At 48,000 square feet, the space has wine tasting, a chess room, a suspended meditation room, and a multi-purpose fitness area, among other amenities. People Squared in Beijing and Shanghai has 15 locations, all 40,000-50,000 square feet in size. Collective Works has two high-end locations in Singapore, the second is 22,000 square feet. In 2015, UR Work has 15 locations in Beijing, Shanghai, Nanjing, and Xi’an covering 215,000 square feet and in 2016 will have opened 35 projects covering 1.2 million square feet. In 2016 we saw West Elm, traditionally a home goods retailer, make a big move into work place furniture. We also saw brands like Yankee Candle introduce itself to the shared space market — they have a custom fragrance product that operates on an IoT platform. CoverWallet is partnering with coworking spaces to help small businesses and startups get business insurance. It’s exciting to see non-technology vendors commit to the space. We are looking forward to more creative entrants in 2017. 10. I am with Steve on being bullish on the coworking industry! Steve King released his 2016 Global Coworking Forecast in August predicting just under 15,000 coworking spaces in 2017, and 26,078 by 2020. That’s a 23.8 percent compound annual growth rate. We’re going all in with Steve on his growth projections. Any trend looking to double its growth in only four years is going to make for an exciting ride, and coworking will be no exception. As investors, companies, and individuals continue to explore this idea over the next year as well as those following, the possibilities will continue to grow. I can’t wait to see what happens next. Happy coworking, 2017!